Financial Management Associates • Securities America, Inc.
Proactive Advisor Magazine: Arnie, please talk about your mission in serving clients and how you think your services are differentiated. Our mission is to achieve the highest standard of excellence by providing value-added services and assisting our clients in reaching intelligent financial decisions. “Financial dignity” is a term we embrace, and our greatest reward is helping our clients attain the goals and legacy they desire. We are committed to establishing trust, respect, long-lasting partnerships, and friendships. I am proud of my Accredited Investment Fiduciary Analyst designation, and our firm acts solely in the best interests of our individual and business clients. We understand that obtaining financial dignity and achieving a personal legacy is a lifelong journey for clients. We are there to work with clients through different life stages and changing financial circumstances. We believe our firm differs from other financial-services firms in the experience and knowledge base we bring to a variety of financial-services needs for both individuals and businesses. This covers the key areas of estate, financial, retirement, and wealth-management services. Our services are designed to create opportunities for our clients to retire with “financial dignity.” Our clients typically seek unbiased advice; improved after-tax results, especially for their investments; assistance with transferring wealth to the next generation; wealth protection; and consolidation of their financial-planning resources. Can you describe how your planning process works to get at specific client solutions? Preparation of federal and state income-tax projections. Development of investment strategies, including tax-sensitive strategies and portfolio diversification. Retirement planning, including accumulation and distribution options. Evaluation of philanthropic decision-making and how to reduce estate and gift taxes. Trust services through independent trust companies, where applicable. Risk management, asset protection, and capital-needs analysis, including analysis of all insurance coverage. Business planning and retirement-plan compliance, where applicable for a business owner. In addition to these areas, we may also provide special analysis in the areas of diversifying high equity concentrations and business and personal financing options such as home loans, refinancing, and commercial loans. Following the financial-planning process, our advisors provide specific recommendations for each element of the plan and facilitate the plan’s implementation. How do you work with clients on their retirement-planning income and investment needs? We use a program we call “The Next Phase of Your Life.” It is designed to meet the needs of individuals and couples who might live well into their 90s. In addition to the hard data-gathering that is part of our overall financial-planning process, we also spend a lot of time on qualitative and behavioral-finance issues. Along with this kind of probing conversation, we use risk-analysis software to get another perspective on their feelings toward risk. It is interesting that often what clients say they are willing to do and what analysis shows can be quite different. This is often a surprise, and we try to help clients re-evaluate their thinking process, identify the level of risk their portfolio might take on, and explore suitable investments that can match up well with their risk profile. We also get into a 360-degree look at their lives, family situation, health concerns, hobbies and interests, organizations they belong to, and many other areas. Understanding these factors can tell you a lot about what is truly important in a client’s life. I like to recommend to clients that they read Carl Richards’ book “The Behavior Gap—Simple Ways to Stop Doing Dumb Things with Money.” There are many great concepts in the book that can help anyone think about their finances in a fresh way. Perhaps the most important is that individuals can take steps to control their emotions and deal with their finances in a smart and more rational way. Clients cannot control the markets, but they can manage their own behavior and feelings. I am there as their coach to help them do that. That fits right into our firm’s investment philosophy of managing risk first and helping clients find the appropriate investments that can help them work toward their long-term goals. What approach do you take to the investment side of retirement planning? Most of our clients are between the ages of 50 and 70. For most clients, we are already working on income-distribution designs, even though some of them may still be accumulating wealth. We will put together a plan for how income is going to be distributed when they are ready to retire. We use a planning approach that involves several buckets or styles that might cover a period of the next 25 years. For any given client, we might have anywhere from three to five investment approaches to help them attain income for life, with risk management a priority of all of our approaches. The process first involves an analysis of what their lifetime income might be from fixed sources such as pensions, Social Security, a potential inheritance, or perhaps assets received through the sale of a business or a residence. Those sources can be significant, and that forms the base of the triangle for planning for their income needs. If their desired, or required, income is higher than that, then we design a portfolio strategy appropriate to their goals and risk tolerance to help fill the income gap. For example, a client may need $5,000 a month to cover their expenses in retirement and have two permanent fixed-income sources, such as Social Security or a pension, that deliver $3,500 a month. We design the portfolio to fill the gap to give them the $5,000 a month indexed to inflation. The first bucket is basically income-oriented, working to ensure that $5,000 paycheck will show up every month. Depending on the client, the income orientation could move out further into the second bucket, and the first 10 years could be income-oriented. The third to the fifth buckets are usually growth-oriented. Here we are looking for growth-oriented investments that can be used to help fund the earlier buckets over time. It is like a waterfall effect, with funds flowing from later buckets into earlier ones. The income buckets could use a variety of investment tools, from basic CDs to annuities to dividend-paying stocks or fixed-income instruments. The growth buckets may use any number of investment strategies, and here is where we will use third-party money managers. These active strategies are selected to mitigate risk and work appropriately with a client’s risk tolerance and willingness to accept volatility within their portfolio. For the latter buckets, we also have time working on the client’s side, which is also an important piece of risk management. Our third-party managers offer many investment alternatives, including those that are highly strategic and strategies that are very tactical. Our role is to manage the managers, design the overall portfolio allocations, and make sure that strategies are doing what they are designed to do. The great thing is the flexibility we can employ in portfolio design and within the strategies themselves. Tactical strategies can respond to changing market conditions in several different ways, rotating among sectors or asset classes, lowering overall market exposure when indicators call for that, or even moving totally to cash. For money that is exposed to the equity market for retirement-planning clients, we always focus on having a strong element of risk management. Most of our clients have lived through at least two market crashes, and their wealth-protection concerns rightfully grow stronger as they approach retirement. We feel our investment planning can address those concerns while providing a structured plan for income for life. Over time, this has proven to be an approach that clients embrace and helps solidify our role as their trusted financial advisor. Evaluating a company’s current retirement plan, including fee analysis. Developing a request for proposal (RFP) and analysis of proposals—identifying the most effective solution. Maximizing tax benefits and facilitating employee education and participation. Protecting a company’s fiduciaries from unnecessary litigation. Ongoing monitoring of plan investments. 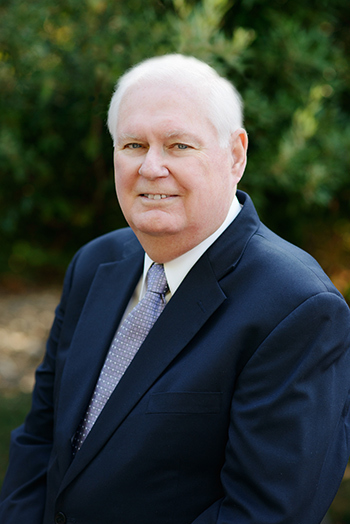 Arnie Beck is the founder and president of Financial Management Associates (FMA), located in Folsom, California. Mr. Beck began his firm in 1980 and incorporated in October 2002. As president of FMA, he is responsible for managing the business activities of the company, as well as working directly with clients on their financial needs. 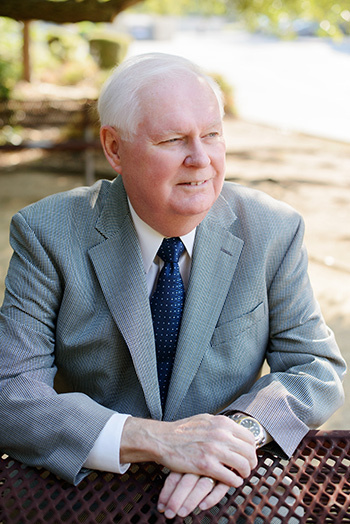 Under Mr. Beck’s leadership, FMA specializes in the design and implementation of estate, financial, and retirement plans, as well as portfolio management for pension plans, small businesses, corporations, and individuals. Mr. Beck also possesses significant experience in the areas of negotiating contracts, settlements, and arbitrations with labor and management organizations, insurance companies, and businesses. 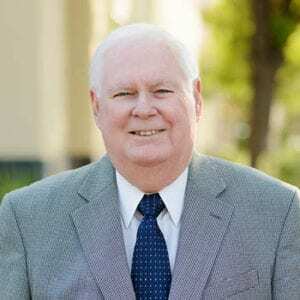 Mr. Beck earned a degree in public administration from California State University, Sacramento, and his Juris Doctor from Humphreys College, School of Law. After earning his law degree, he worked for 12 years as a labor negotiator under three California governors. In addition to his securities, advisory, and insurance registrations, he is able to represent clients on audits, collection, and tax appeal matters before the Internal Revenue Service as an Enrolled Agent (EA). Mr. Beck is a fellow of the National Tax Practice Institute and has earned special designations in financial-advisory and estate-planning services. He also is an Accredited Investment Fiduciary Analyst (AIFA). Mr. Beck and his wife have three children and two grandchildren. He is an avid fan of jazz music, and he and his wife enjoy attending plays, music festivals, and performances. Mr. Beck has served on the board of directors and as vice president of training for the Financial Planning Association for Northern California. He actively supports Soroptimist International, a global volunteer organization advocating for human rights and gender equality. Disclosure: Securities offered through Securities America, Inc. Member FINRA and SIPC, Arnold T. Beck, Jr., registered representative. Advisory services offered through Securities America Advisors, Inc., Arnold T. Beck, Jr., financial advisor. Financial Management Associates, LLC, and the Securities America companies are not affiliated. Tax-related services offered through Financial Management Associates, LLC. The investment fiduciary standard of care applies to advisory services only.